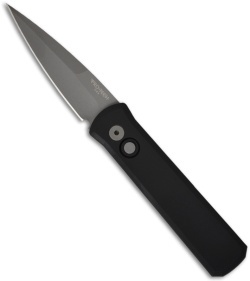 This Godson has a bead blast finished 154-CM blade with a plain edge. 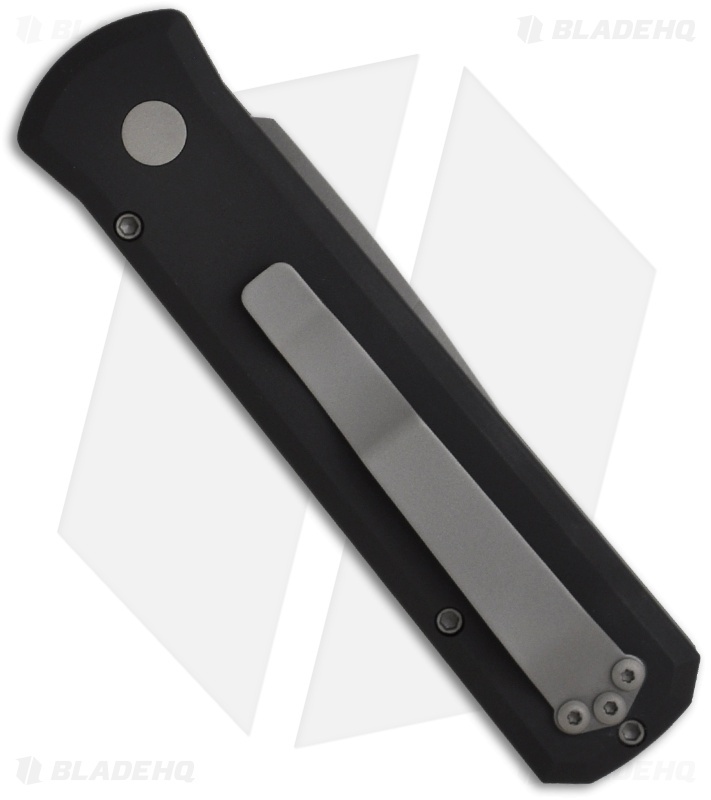 The handle is solid black anodized T6-6061 aluminum. Bead blast finished tip-up pocket clip for easy carry. Like Father, Like Son. Most people are familiar with Pro-Tech's Godfather knife, it's big, beautiful and powerful. The Godson is a smaller version of the Godfather with Italian inspiration and American innovation. The Godson features incredible coil spring action that is strong and lockup that doesn't let you down.